It was like every other Christian conference I’ve ever attended. It was like no other Christian conference I’ve ever attended. We met at a hotel in Chataura (in Lebanon) about a thirty minute drive from the Syria-Lebanon border. All the attendees had crossed over from Damascus—Shem—as they call it…like the Biblical son of Noah. I knew only a few of the conference leaders, but no one who had come from Syria. There were about 200 attendees—Arabic speakers, or more precisely, Arabic and Syriac speakers. 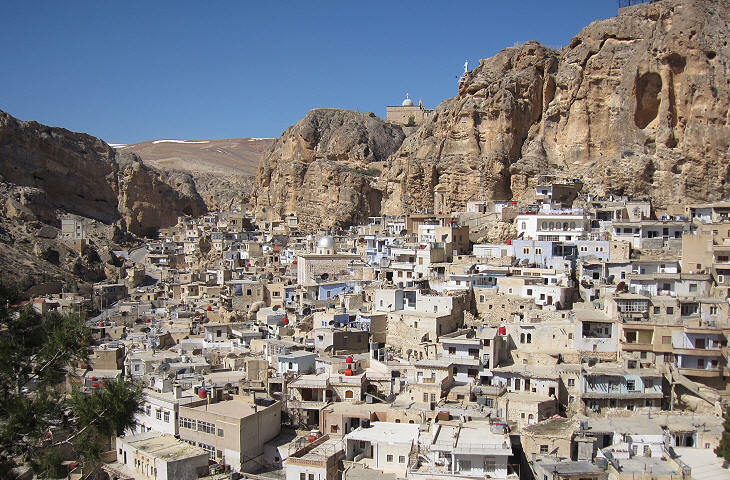 It turns out that a number of the attendees are from Maalula an ancient Christian enclave, retaining, until very recently the heritage of the Syriac church and speaking the very language that Jesus spoke—Aramaic, which due to Roman influence came to be known as Syriac.